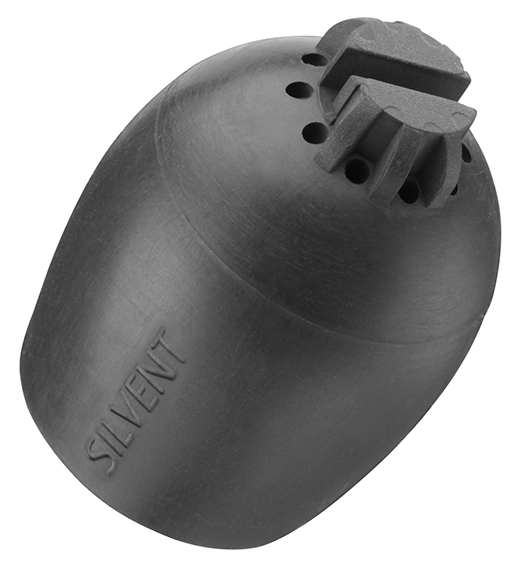 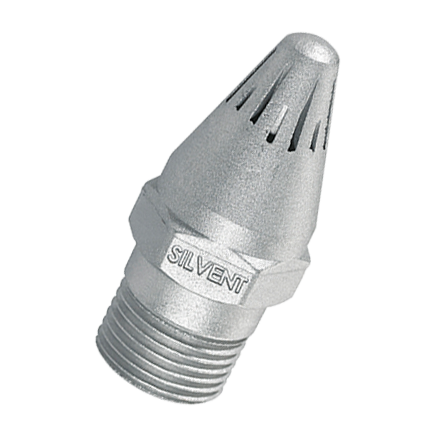 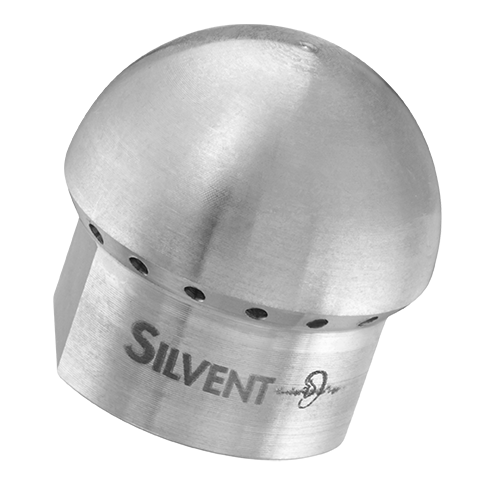 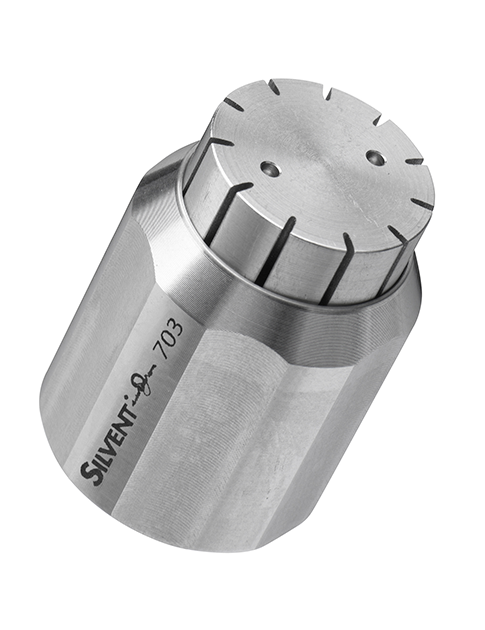 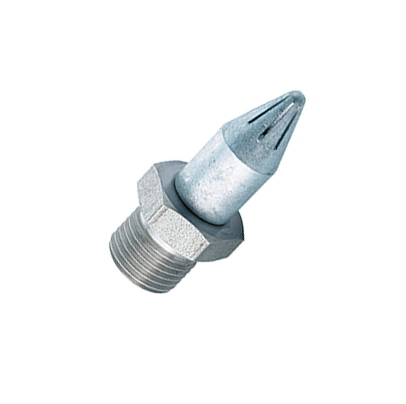 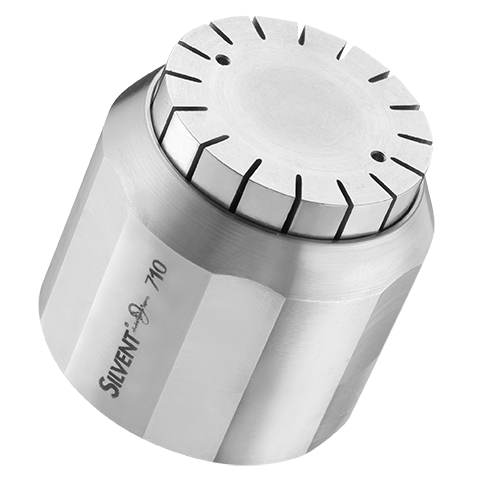 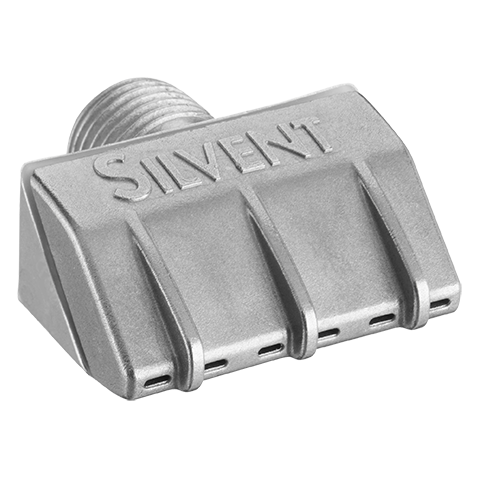 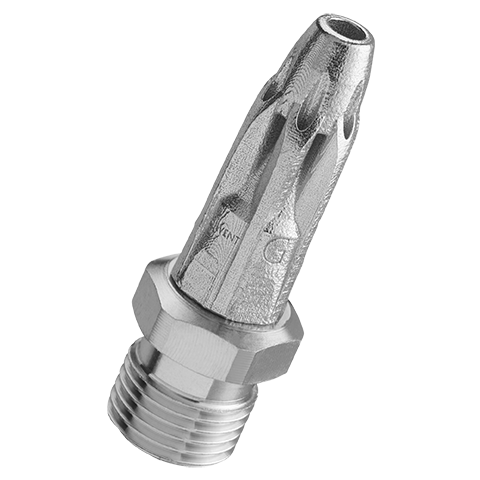 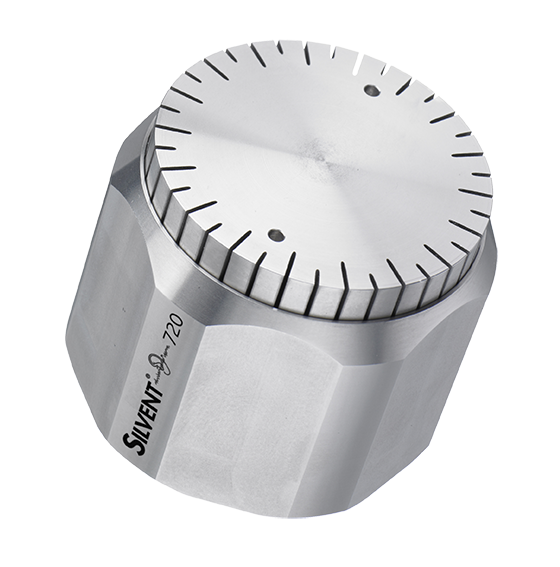 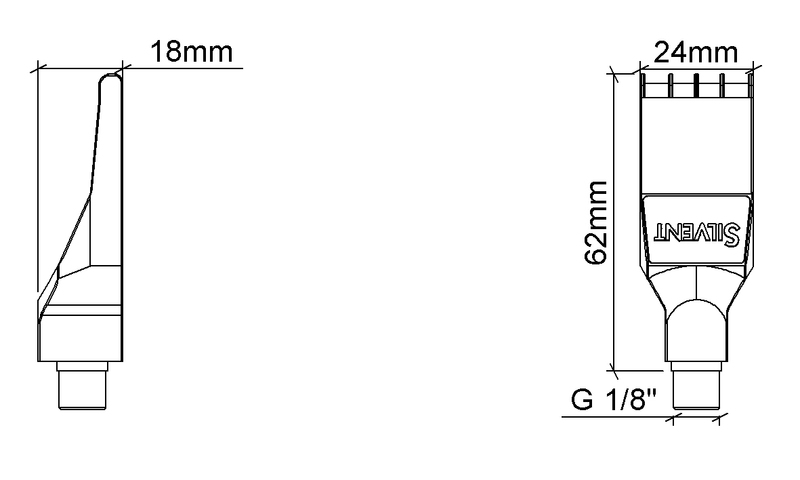 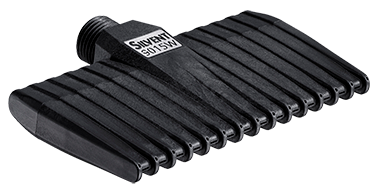 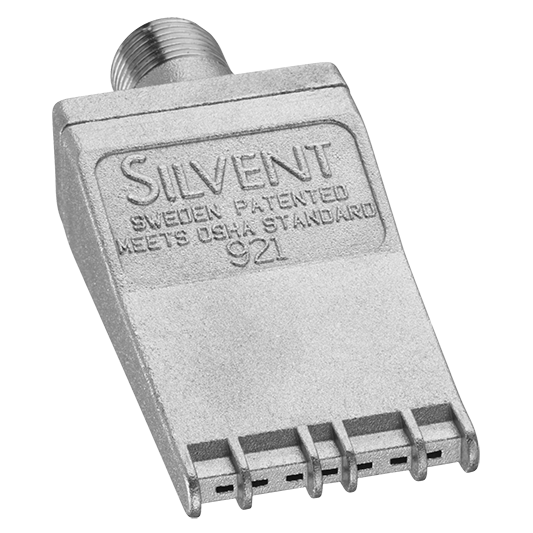 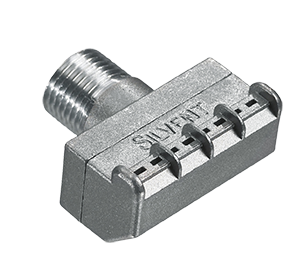 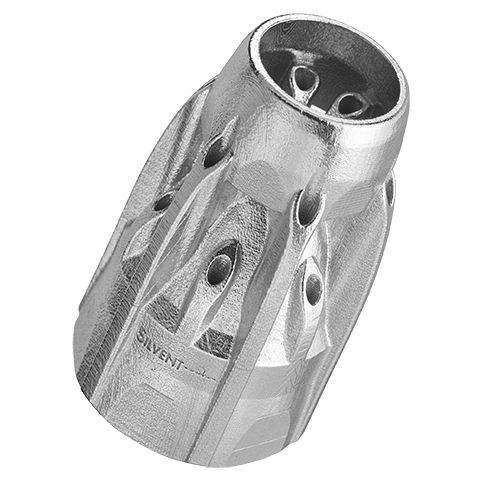 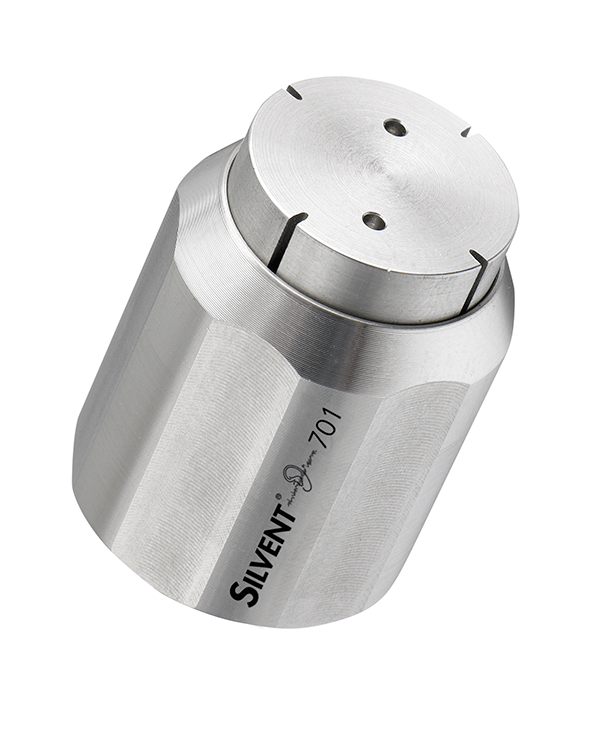 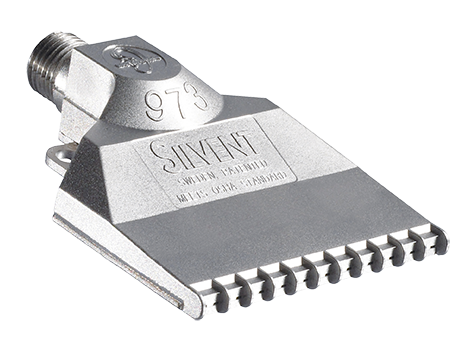 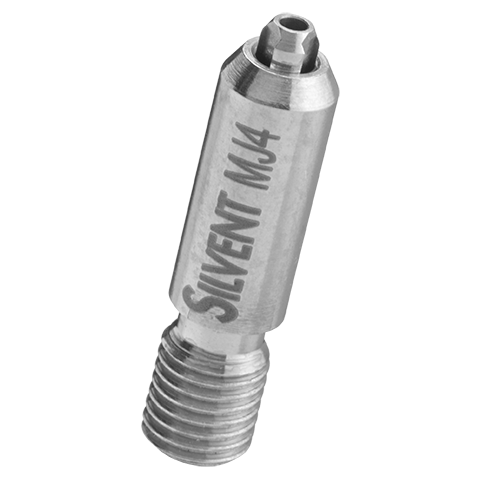 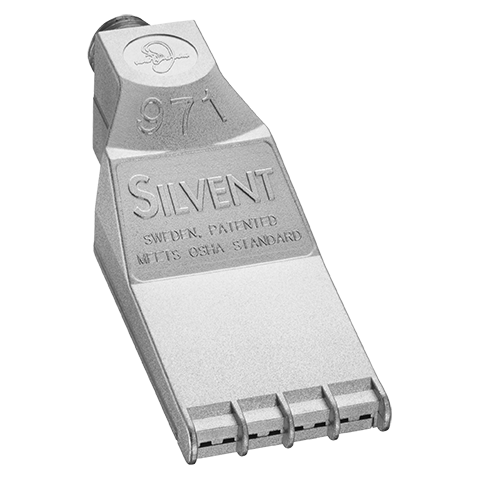 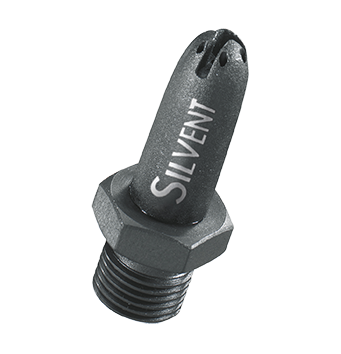 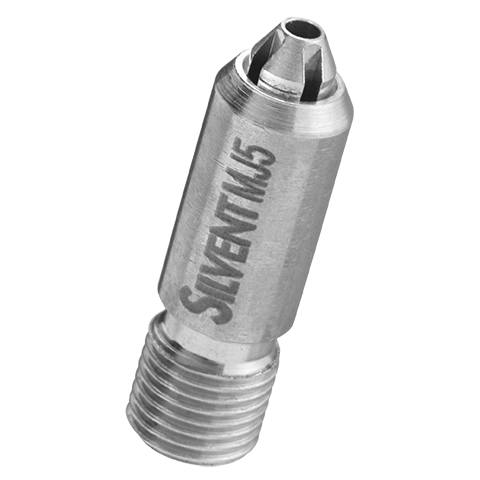 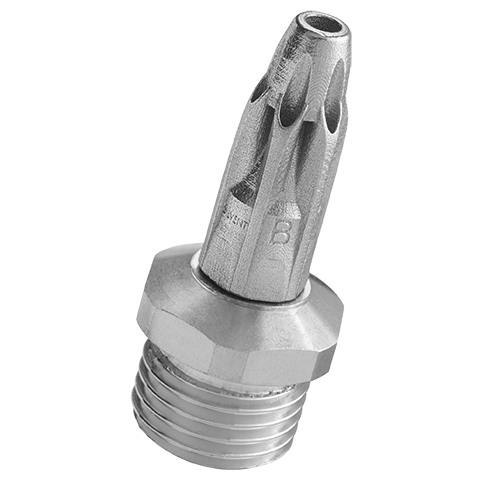 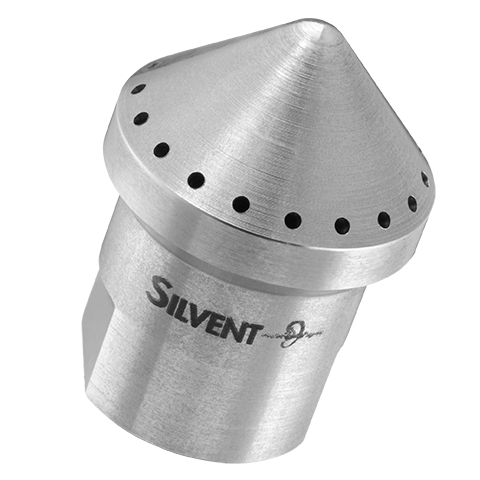 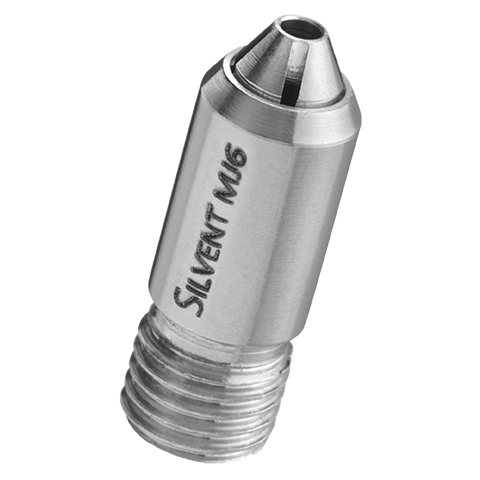 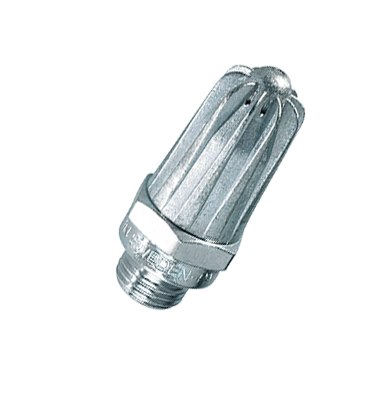 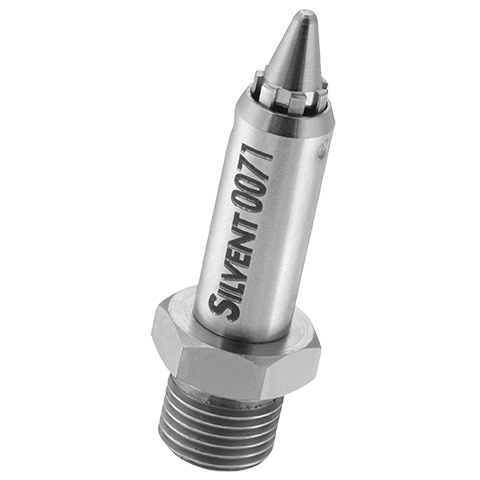 SILVENT 971: flat nozzle of stainless steel. 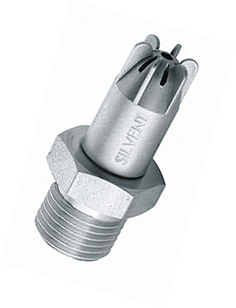 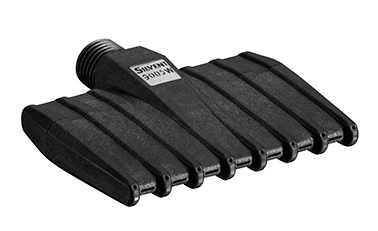 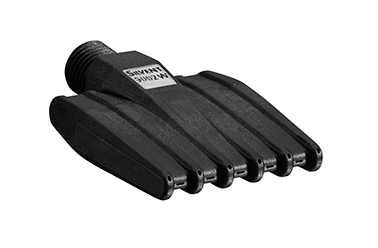 Meets virtually every demand industry places upon a modern air nozzle. 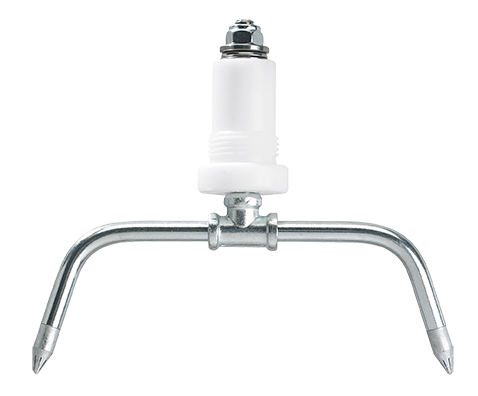 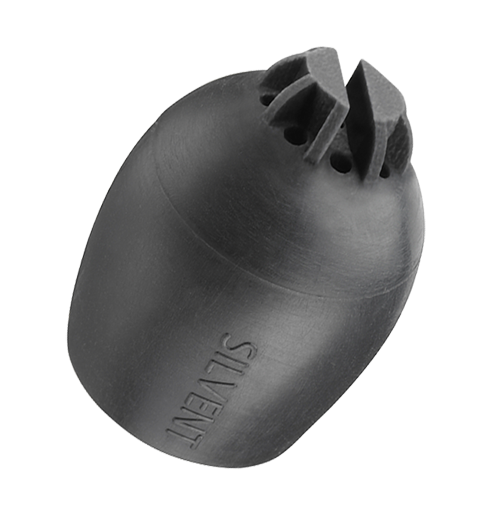 The design of the nozzle creates an air stream with a broader striking surface - clearly an advantage when wide objects must be dried, sorted or cleaned. 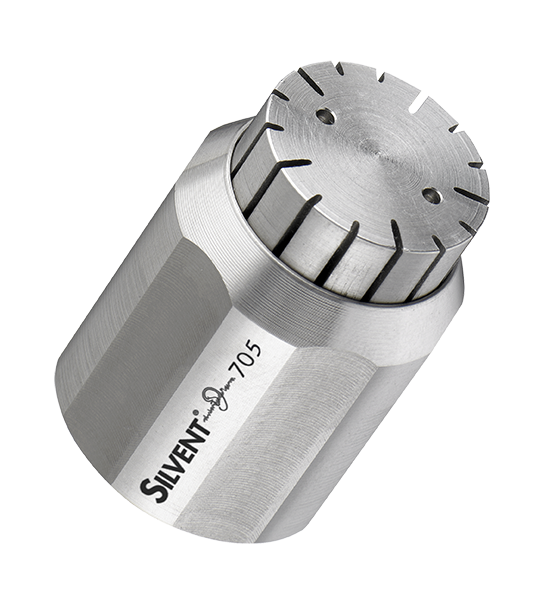 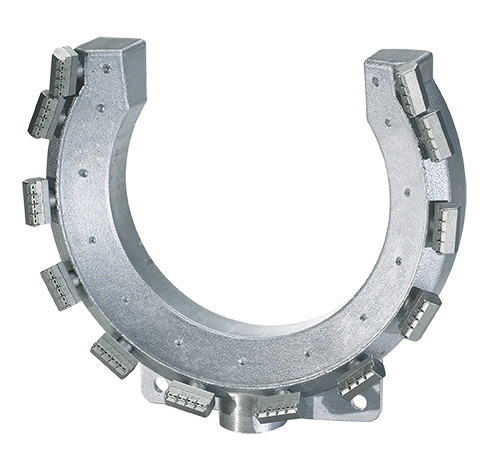 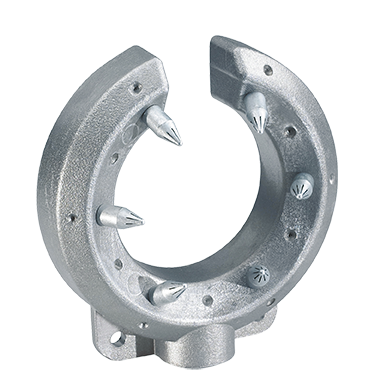 Capable of withstanding high ambient temperatures and corrosive chemical environments, as well as satisfying the hygienic requirements of the food processing industry.